Download GBA4iOS 2.1 for iOS 9.2 /9.3/9.2.1/9.1: iOS 9/9.1/9.2/9.3 users love to play Game Boy Advance Games by using GBA4iOS, NDS4iOS and PSP4iOS. Download GBA4iOS 2.1 free for iOS 9.3/9.2/9.1 and install GBA Roms to play Gameboy iOS games. Download games for GBA4iOS 2.1 from the available ROM stores in the internet like emuparadise.me etc. If you are craving to play GBA ROMS in GBA4iOS 2.1, you can install GBA4iOS 2.1 on iPhone 6S or 6S plus. The time has come, GBA4iOS 2.1 download for iPhone is available without jailbreak. 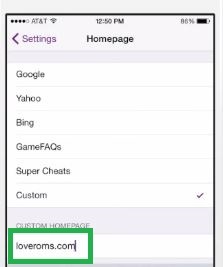 As an iOS 9.1/9.2/9.3 GBA4iOS user, it is illicit to download GBA4iOS custom ROMs. You can also give a try for Emu4iOS Store app to download GBA4iOS 2.1 for iOS 9.2 /9.1/9.2.1 without jailbreak. You can unleash the gaming potential within you with GBA4iOS 2.1 download for PC. We, techslates will ease the process of GBA4iOS 2.1 download and installation without jailbreaking your iOS 9.3/9.2.1 device. As a continuum, we will share you the details on how to download games for GBA4iOS 2.1. The Latest GBA4iOS version 2.1 works with iOS 8.1 and above. You can also download and install Emu4iOS store app to install several other iEmulators like NDS4iOS etc. apart from GBA4iOS. Emu4iOS app store lets you install several iEmulators. However, you can run only one iEmulator at a time using Emu4iOS, let’s see how to download GBA4iOS 2.1 for iOS 9.2.1/9.1/9.2 on iPad/iPhone. Tap install again, if prompted for confirmation to install GBA4iOS 2.1 download for iOS 9.2.1/9.3 without jailbreak. After you successfully completed GBA4iOS 2.1 download for iOS 9.2 / 9.2.1/9.1, you can find new GBA4iOS icon on iPhone/iPad home screen. Yippee! You got the latest version of GBA4iOS 2.1 download for iOS 9.3 or iOS 9.2.1/9.1 without jailbreak. Note: If you are trying to install GBA4iOS on devices running iOS 9, go to Settings>>General>>Profiles and then select the apple certificate starting with “CMN…” You will be prompted to trust the device. 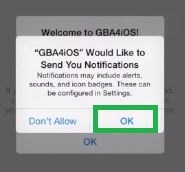 You will get another popup asking whether you would like to get GBA4iOS notifications. Just, give a gentle tap on Trust. You need to trust everything to play anything on GBA4iOS 2.1 without jailbreak using GBA ROMs, LOL. After you get GBA4iOS 2.1 download for iPad/iPhone, the app may run for few days. After that, you will face GBA4iOS not opening problem, to solve this, you have three ways to resolve the GBA4iOS 2.1 not opening problem. Method 1 to resolve the unable to open GBA4iOS app: Although, GBA4iOS makers use apple certificates to install GBA4iOS 2.1 app without jailbreak, yet Apple fixes this issue. With recent release of iOS 9.3, this not opening problem arised again. Many iOS users are asking techslates.com to provide solution for this issue. If anytime GBA4iOS 2.1 app fails to open, change the date in your iOS 9.3/9.2.1/9.1 back by a day. Then, double tap the downloaded GBA4iOS 2.1 app icon, this should fix the issue of GBA4iOS not opening problem. You can set the correct date back, once the GBA4iOS 2.1 app run successfully without any problems on iOS 9.3/9.2.1/9.1. But, you will face the same issue if you restart your iOS 9.1/9.2.1/9.3 device. So, after restarting iPhone/iPad, you need to repeat the same steps again to fix GBA4iOS not opening problem. Method 2 to resolve the unable to open GBA4iOS app: Some times while installing GBA4iOS 2.1 download, you won’t get popup asking you trust the app. In such cases, you will face this GBA4iOS app not working/opening issue. To fix this, you need to walkthrough the below steps. Method 3 to resolve the unable to open GBA4iOS app: You can also install similar emulators like GBA4iOS, NDS4iOS etc., using Emu4iOS download for iOS 9.3/9.2/9.1. Emu4iOS download can also be used to play GBA, NDS games using Emu4iOS. The benefit of using Emu4iOS is that you can download Emu4iOS emulator for iOS 9.3/9.2/9.1 and also other emulators from Emu4iOS.Other benefit is that you don’t need to jailbreak your device to install Emu4iOS. Once the GBA4iOS iEmulator is successfully installed, you can play Pokemon game using GBA ROMs loaded. Sometimes, you may face GBA4iOS app crash problem, when you try to run the app from home screen. To fix this GBA4iOS crashing problems, follow the below steps on your iPhone/iPad on iOS 9.3/9.2.1/9.1. This should fix the GBA4iOS app crash problem but you will lose your GBA games data and progress. We cannot help you, in this case. However, if you download GBA4iOS for iOS 9.3/9.2/9.1 and get it successfully installed. You can use its Dropbox Sync feature to save the GBA and GBC ROMs and also your Games data to the cloud. If you face the GBA4iOS crash problem or GBA4iOS not opening problem, you can retrieve the game data back. As an alternative, you can install Emu4iOS app without jailbreak and try to download GBA4iOS 2.1 from store following the above steps. You can download and install emu4ios app without jailbreak. Otherwise, tap on Settings on top left corner of the GBA4iOS app screen. You will be redirected to loveroms website to download GBA/NDS Roms and other several related consoles game roms available to download free roms. Search for your desired Game like Pokemon, Super Mario advanced game and download the GBA4iOS roms. Using cloud storage service Dropbox, you can store the GameBoy Advanced and GBColor Roms to your Dropbox account. This is a new feature included in GBA4iOS 2.1 latest version. You can thus use the GBA and GBC roms once downloaded over all your iOS 9.3/9.2/9.1 devices. Tap on Settings gear icon on top left corner of the GBA4iOS app screen. 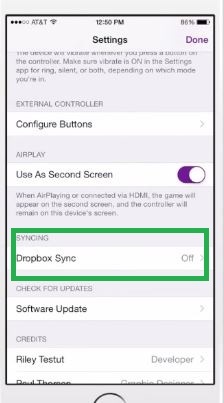 You need to turn it on to enable the app to sync the GBA Roms and Saved Game data to Dropbox Cloud service. You need to connect your Dropbox account with your credentials. Comment on this GBA4iOS techslates guide to help you resolve any GBA4iOS 2.1 problems you face. Apart from the GBA4iOS not opening problem and GBA4iOS app crashing problems, let us know if you face any other issues while you install GBA4iOS 2.1 download for iOS 9.3/9.2/9.1. We hope that we provided good info on how to download GBA4iOS 2.1 for iOS 9.3/9.2.1 or iOS 9 without jailbreak. You can also try Emu4iOS app to get GBA4iOS without jailbreak. This techslates guide on how to download GBA ROMs and install ROMs on GBA4iOS 2.1 will make you the process a cakewalk. Also, make use of GBA4iOS 2.1 Drop down Sync feature to sync GBA ROMs and saved game data to Dropbox. Get the GBA4iOS 2.1 download for iOS 9.2 /9.2.1/9.1.